I've been a graphic designer, website designer and photographer for more than a decade. But I have not attempted to make a living from my photography until this past year. The thought of beginning a career in art is absolutely daunting! There is a very helpful series of articles on Art Biz Blog about the initial steps to getting started. It is a great read and I'd highly recommend looking for more articles similar to it. The steps the blog outlines include seriously setting aside time to create and WORK on your art. It is a lot of work to be an artist. Not only do we need to create the actual piece of art, capture the perfect photograph, sculpt the incredible statue, but we also have to do the business side of pricing the art, marketing ourselves and maintaining finances. Discipline is key. You've heard the adage 'it's not what you know, it's who you know'? Well use your network to begin building your contact list now. This list should have names, mailing addresses and email addresses of past buyers, galleries, fellow artists of differing genres, friends and family and business people - anyone who can assist you going forward with your business as an artist. Seek out fellow artists and groups of artists, like Rio Rancho Art Association, to commune with. These people should be a mix of genres of art, stages of careers as artists, etc. This helps with the 'been there, done that, wouldn't do it that way again' advice we seek when starting something new. 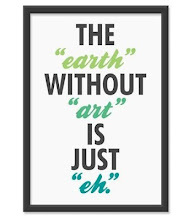 That's part of why I joined Rio Rancho Art Association; to garner the expertise of other artists and get to know the art scene in NM through those who have been part of it for awhile. Promoting your art without the use of words is futile. Thus we need to begin our art careers, and continue them, by writing. We have to write the artist biography, write the descriptions of the artwork, write the thoughts that are in our heads down on paper or speak them to a voice recorder. If you have no idea what to write, as the Art Biz Blog suggests, write about others' artwork. Go to a museum or pick one of your favorite artists and write about their work. I'll be on this journey with the rest of you new career artists (and those of you who need a revamping of your current career). We'll be disciplined, contact-gathering, interactive, literary self-employed artists together! Best of luck.